Millions of courageous people are speaking up and rejecting the “Billionaire’s Club” plan to turn ordinary people into carbon serfs. Don’t let a ‘complier’ call you a ‘denier.’ These green billionaires don’t need anymore of your money. Breathless media headlines on “Hothouse Earth” like that reported by Global News, Aug. 7, 2018, are agenda-driven fearmongering, says Friends of Science Society, noting that two authors of the related science paper recommend a $400/ton carbon tax in a referenced paper on ‘A Roadmap for Rapid Decarbonization” published in Science, March 24, 2017. The “Hothouse Earth” paper presents a computer simulated scheme that claims humans could create a “Stabilized Earth” by reducing fossil fuel use through carbon taxes and global governance when there is no evidence to support such claims, says Friends of Science. Stirling says ‘climate reality’ followers of Al Gore are engaging in magical thinking, just like in the Little Ice Age. The “Hothouse Earth” paper claims people live in the Anthropocene Era – claiming that humans have more effect on earth than natural geologic forces or solar cycles. But days prior to the publication, as reported in Tech Times of July 19, 2018, the International Union of Geological Sciences (IUGS) put that notion to rest. The current stage is named the Meghalayan, a 4,250-year period when civilization flourished, following a period of sudden cooling, drought, and societal collapse. The IUGS tweeted that no one has even submitted the term Anthropocene for consideration and that it is really a sociological term, not a scientific one. Friends of Science note that the much-hyped wildfires and droughts of summer are repeated in the media as ‘evidence’, but few people check the facts. The percent area of the contiguous US experiencing moderate to extreme drought has declined by 0.78%/decade over the period 1931–2012. The 1930s had the most heat waves, while the 1980s had the highest number of cold waves since 1890 according to this report published by the American Meteorological Society. Friends of Science says a $400/ton carbon tax, referenced in the “roadmap” to decarbonization plan cited in “Hothouse Earth” would be catastrophic for society, would do nothing for the environment or climate change, and has no cost-benefit analysis to back it up. 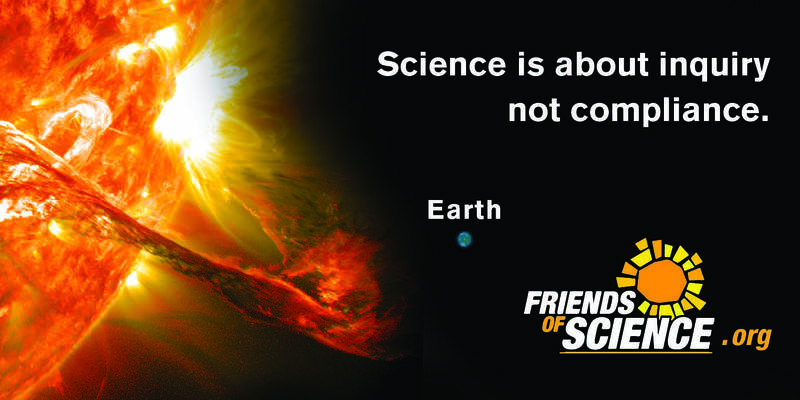 Friends of Science Society says solar and ocean cycles mainly drive earth’s climate system, not carbon dioxide from human industry.